In his career doing hair and makeup for television and film, BYU graduate Karl Wesson (left) has worked with many famous performers, including Cheryl Tiegs. Karl E. Wesson (BS ’75) hasn’t always styled hair. He danced and sang while at BYU, and he has casted for LDS films. But he never strayed far from hairstyling—and it’s a good thing. The talent that had helped the Arizona farm boy make it to college and onto a mission would eventually land him in Hollywood. One of Wesson’s early hair clients secured a loan for him, enabling him to attend BYU and fulfill his dream to perform. He got his wish through the theatre department and as a dancer with the Young Ambassadors and the International Folk Dance Ensemble. 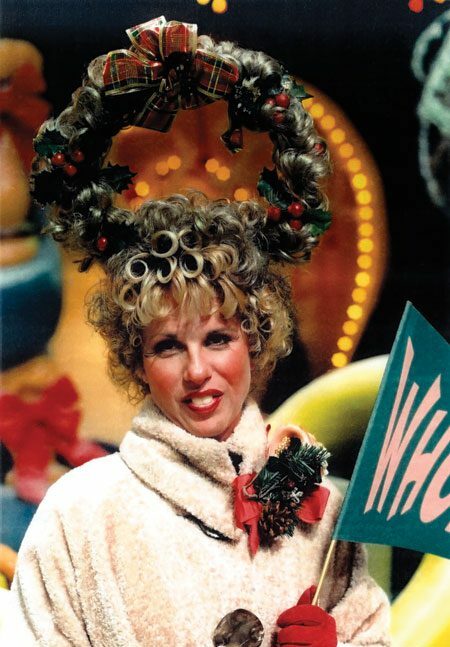 Wesson’s work creating whimsical hairdos for The Grinch (above and below) helped the movie win the Best Makeup and Hairstyling Oscar. He has worked on dozens of Hollywood and Church productions, from Pirates of the Caribbean: Dead Man’s Chest to The Testaments. He toured with the Young Ambassadors and was director of two folk-dance tours. Mary Bee Jensen, the founder and longtime director of the International Folk Dance Ensemble, notes that Wesson introduced the first braided ponytail attachments worn by folk dancers for Polish numbers, making the performances more authentic. Wesson got a job at what is now the LDS Motion Picture Studio, working in props and casting—until his employer discovered he could do makeup and style hair. Wesson went on to teach makeup and hair classes at BYU before making a career in Hollywood. He’d fly home on weekends to be with his wife and children in Salem, Utah. Wesson’s expertise earned him two Emmy Awards for his work on the TV series Dr. Quinn, Medicine Woman, for which he and his crew regularly styled more than 600 hairdos. 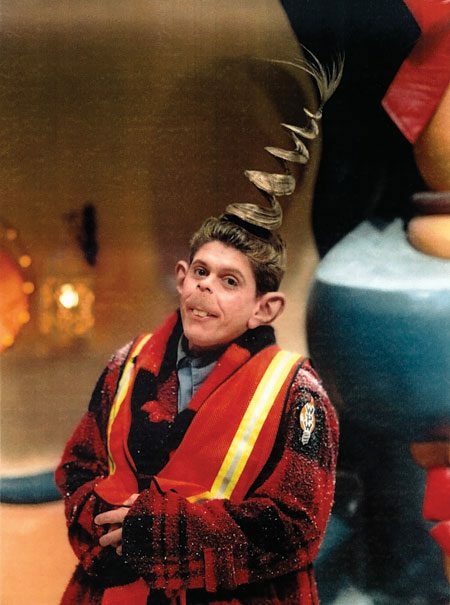 He was also on the team that won the Best Makeup and Hairstyling Oscar for the movie The Grinch. He has worked on more than 40 different professional productions, from The Grinch with its whimsical hairdos to Pirates of the Caribbean: Dead Man’s Chest to the television show House. He also did hair for many LDS films, including the BYU classic The Phone Call and The Testaments. A cancer survivor, Wesson retired in 2005. He has donated a career’s worth of makeup, hair supplies, and books to the BYU Theatre and Media Arts Department and the LDS Motion Picture Studio, and he often comes back to give lectures at the place where his career began.